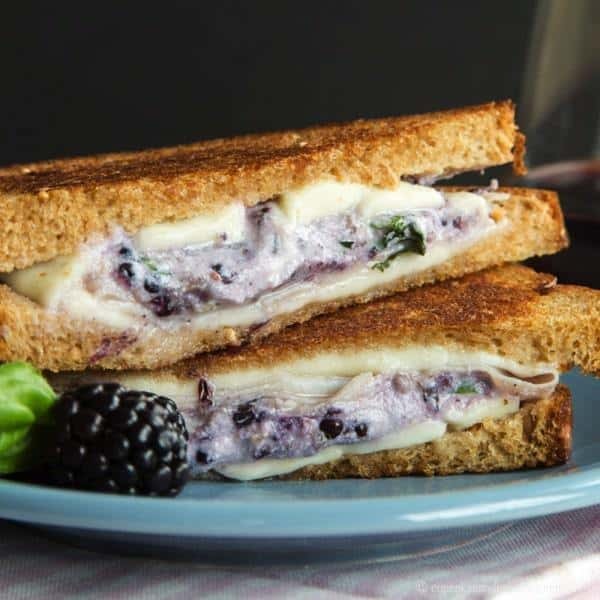 Take the classic comfort food sandwich to fancy pants with plenty of ooey gooey cheesy goodness and a touch of sweet summer berries. 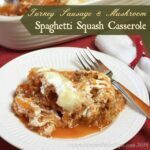 In my house, cheese is definitely a family favorite, and this week for #SundaySupper the amazing taste and versatility of the many varieties of Wisconsin Cheese are being highlighted in a menu full of family-friendly recipes that everyone, especially the kids, will love! 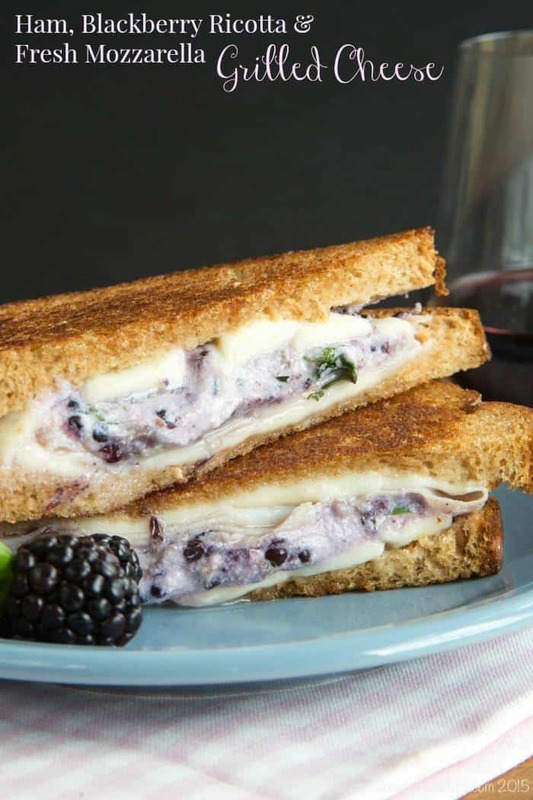 Hopefully these recipes will inspire you to create your own to enter the 2015 Wisconsin Cheese Recipe Contest for your chance to win a ticket to the Food and Wine Conference, plus a whole lot more! 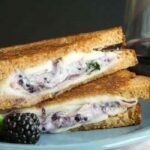 And while my kids are happy with a simple sammie, this foodie mama has to jazz things up a bit by adding some sweet and salty elements to the classic comfort food in this Ham, Blackberry Ricotta, and Fresh Mozzarella Grilled Cheese. The Bug has this game we play every morning as we put on our shoes to leave for school. Basically he gathers all of our shoes together, then hands me one at a time in the order he wants me to put them on him, his brother, and myself. Well Little Dude has recently learned how to put on his own shoes, and, being the independent soul that he is, gets so excited about his new skill that he doesn’t want to wait for his big brother to gather the shoes and pass them out one at a time with no guarantee that Little Dude will be the first shoe recipient. This does not sit well with The Bug, who wants to play by his rules. So I tried to explain that sometimes we have to be flexible, change things up a bit, you know? Then I reminded him that he just told me the other day that he doesn’t like to eat the same food more than once in a row, so it’s kind of the same thing. His response? You see, he is an equal opportunity cheese lover – cheddar, mozzarella, Monterey Jack, feta, even things that you wouldn’t expect a five year old to like, such as Brie or blue cheese. And Wisconsin prides itself on being the home to award-winning examples of these and many more varieties – over 600 in all. I don’t think The Bug would turn down any of the cheeses in their Wisconsin Cheesecyclopedia®. High-quality cheese have been crafted in Wisconsin for over 160 years, but this science geek was fascinated to read that the stage was set for the cheese industry when glaciers cut through Wisconsin in prehistoric times, leaving what is now rolling hills and pastureland. Now there are over 10,000 dairy farms making 2.8 billion pounds of cheese annually. They might just be able to keep up with The Bug’s passion for his favorite food. You can find out more about all of the fabulous varieties of Wisconsin Cheese, the history, recipes, as well as Cheese 101 on selection, storage and use of these fabulous cheeses on their website, as well as Facebook, Twitter, Pinterest, and Instagram. 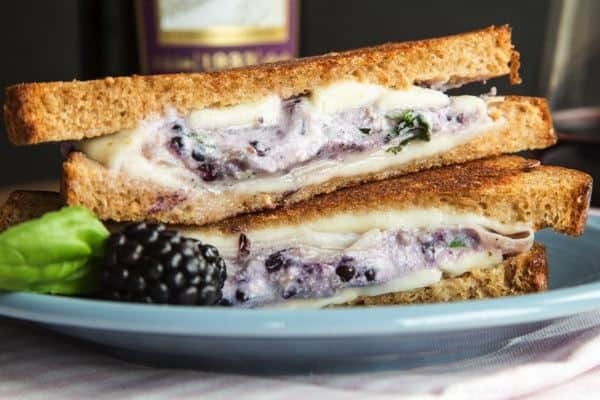 In this Ham, Blackberry Ricotta, and Fresh Mozzarella Grilled Cheese, I mashed together some blackberries and ricotta for a sweet and creamy element, added the soft, stretchy texture of fresh mozzarella, and then gave it a little salty kick with a couple slices of ham. 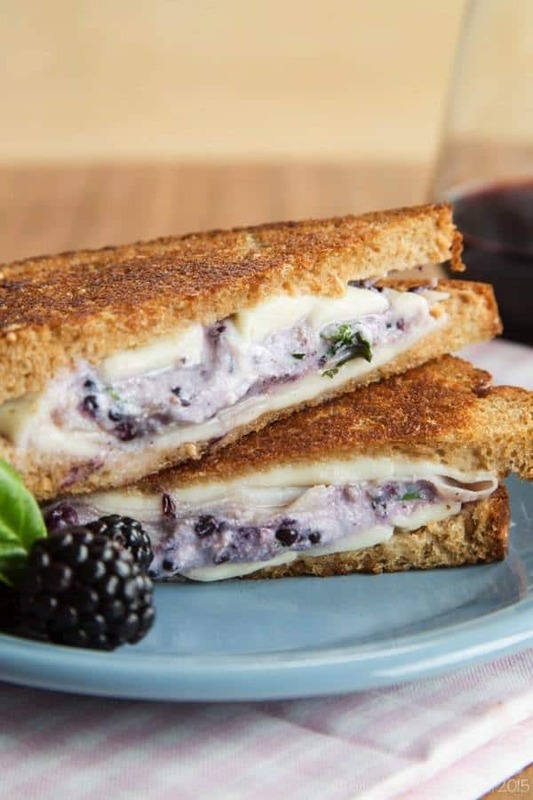 Layered between two crispy, buttery slices of bread, it’s just a touch of a summery element to brighten up your usual grilled cheese and make it all fancy pants, as I like to do. I actually was testing out a few grilled cheese recipes one night, and this was the clear winner in my house. So I’m hoping it’ll be a winner in the 2015 Wisconsin Cheese Recipe Contest. You can enter too, and win one of three amazing prizes, each of which includes a ticket to the Food and Wine Conference in Orlando, FL on July 17-19. All you have to do is develop an original easy summer recipe that includes Wisconsin Cheese, post it on your blog between now and June 19, 2015, and share your blog post on Twitter, Facebook, Pinterest, and Instagram using the conference hashtag #FWCon. Get all the details HERE. The recipe will be featured on EatWisconsinCheese.com. 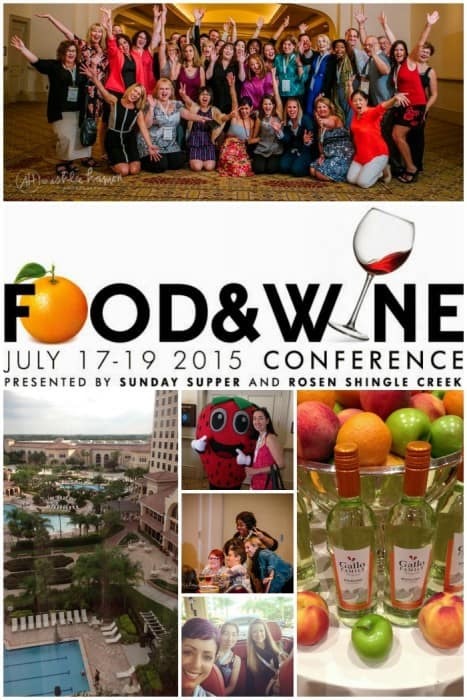 But seriously, if you haven’t already, don’t wait to buy your Food and Wine Conference ticket! Last year was so amazing, and this year looks to be even better with the lineup of speakers, events, and attendees. It’s truly the embodiment of the Sunday Supper Movement in real life. And guess what, I’ll even save you $50 – just use promo code FWC15izzob when you buy your tickets. If you do win the contest you’ll be reimbursed, and if you don’t, well, you know you want to go anyway! It’s worth every penny! Then check out all of today’s recipes featuring Wisconsin Cheese at the bottom of this post, plus lots more cheesy inspiration on Sunday Supper’s Pinterest board with Recipes Featuring Wisconsin Cheese! What is your favorite variety of Wisconsin Cheese? In a bowl, mash together the blackberries, ricotta and basil with a fork. Spread the outside of each slice of bread with about half a tablespoon of the softened butter. Place about 1 oz. 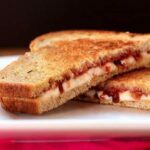 of mozzarella on a slice of bread, top with about a quarter of the ricotta mixture, two slices of ham, and another 1 oz. of mozzarella cheese. Top with another slice of buttered bread. Heat the olive oil in a pan over medium-low heat. Cook the sandwiches for about 3-4 minutes per side, or until golden brown and the cheese has melted. Covering the pan with a lid during cooking will help melt the cheese. Made this for lunch yesterday! It was way more filling than I thought it was going to be; I was full until 10pm! Great flavor combination, thanks for posting this! Haha, yes, it is filling! Glad you enjoyed it! Oh myyyyyy! Could I please have that for breakfast? Like right now? LOL It looks and sounds amazing! Love the flavors in this grilled cheese! I can’t wait for my blackberries to ripen to make it! I absolutely love these! Blackberries are one of my favorite berries! This is such a creative and delicious grilled cheese. Love it! 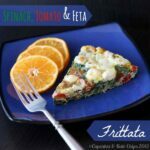 What a perfect way to combine fruit and cheese! I love savory and sweet together in the same package! Oooh, what a marvelous grilled cheese!!! Sweet, salty, cheesy—what’s not to love??? I love the cheese and the berries! This makes for a great grilled cheese! 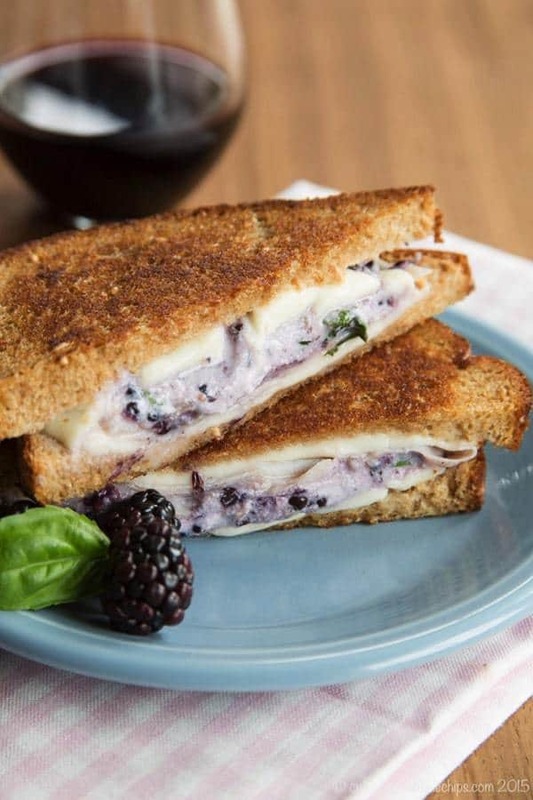 I always love cheese and berries, so it was natural to put them into a grilled cheese! Love something sweet tucked into my grilled cheese. Berries are brilliant! It does give a bit of summer flair to the sandwich! I’m in total agreement with cheese being okay to have more than once in a day. Smart kid. Lovely sandwich too. The blackberries give it such a nice color. He could eat cheese all day every day! I love the purpley color too!